With over 30 years' experience in delivering passive fire safety, and Architectural Metalwork contracts, our reputation has helped us become one of the UK's top specialist sub-contractors. Martec is fully equipped with a directly employed design office with the latest CAD & 3D software with BIM interface and full production/procurement management systems providing full product trace-ability for CE Marking. Based in Glasgow, we provide UK-wide installations for a number of major construction companies. We employ over 70 people with high key staff retention so you can be sure our company is a stable and a financially sound organization. Martec Fire Martec will work with you from conception to completion to provide the solution for your passive fire protection needs. We provide an extremely comprehensive profile system with fittings and accessories for flush fitting single and double leafed glazed doors, as well as for generously proportioned glazed walls. 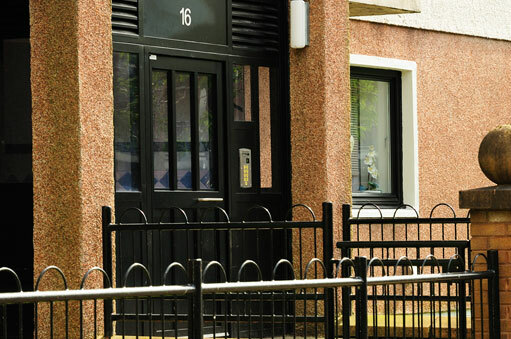 Martec Doors Martec have been supplying steel Communal Entrance Doors to Social Landlords for over 30 years. With two British patents and our Premier E Communal door holding Secured by Design Certification to STS202 Level 2 for burglar resistance, we can provide a security solution that is robust and attractive in any type of apartment block. 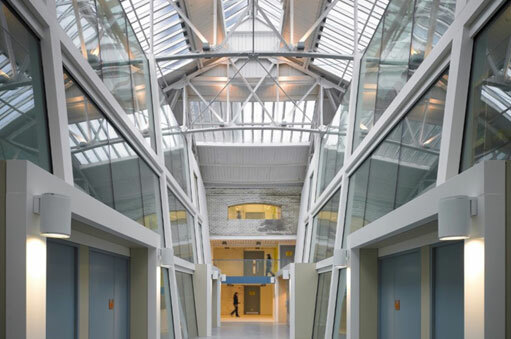 Martec Architectural We are one of the most recognised names in the market for the design, manufacture and installation of architectural and bespoke metal works. Our wide range of solutions comply with all the necessary building regulation requirements as well as adhering to all of the British Standard recommendations for structural stability, safety and accessibility. Our recent experience of working with Martec Engineering has left us in no doubt that they will become long-term partners of Fire Expert Solutions. We found ourselves looking for a partner who could supply a quality product under tight timescales, working quickly and safely within High Rise Accommodation blocks. We were not to be disappointed. Excellent service from the Sales team who managed the process from beginning to end, to the Installation team on-site who left having completed a fantastic job. I would have no qualms in recommending Martec Engineering for Bin Hopper works in the future. The University has had a long working relationship with Martec Engineering. The company is open and supportive to new ideas, approaches and innovations in both its products and systems. I look forward to developing our relationship into the future as the company embraces new challenges and markets. We have worked closely with Martec Engineering for a number of years and have always found them able to bring significant expertise and professionalism to whatever contract they are involved in, be it Capital Works, Repair & Maintenance, or Manufacturing. Coupled with their culture for Environmental awareness and Health and Safety, they offer much to be admired. MAST Architects have now worked successfully with Martec on a number of projects, and have always found them to be professional, pro-active, and very responsive to our needs. 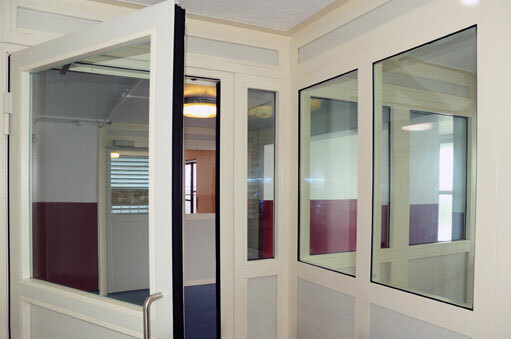 Their Secure by Design, security doors are manufactured to the highest standards, yet offer excellent value. I would have no hesitation in recommending them. Martec Engineering provides South Lanarkshire Council with a complete 1 stop service for the supply and installation of security doors, fire doors and fire screens. Martec work with us to provide design options, which best match our requirements. From initial enquiry through to certification, they offer a first class service. A client focused business, Martec have consistently provided a quality product and delivered on time. Early engagement has proven hugely beneficial enabling Martec to provide best value design and great customer service. Martec Engineering work in partnership with Miller Construction and were approached to provide secondary steel work on the Pacific Quay project. 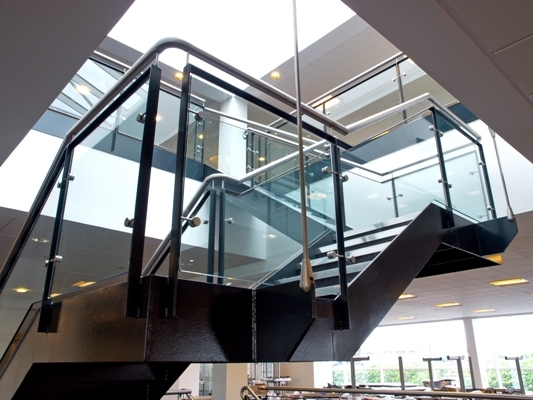 Martec Engineering provided feature staircases, handrails and balustrading along with structural steel work. Each of the products were manufactured and installed and powder coated at Martec’s manufacturing facility.